The Nixeus VUE27D is an affordable, 27-inch desktop LCD display that combines an LED-backlit IPS panel with one of the crappiest stands I’ve seen. Nixeus takes an interesting approach here: Use high-quality components where it counts (screen and backlight), but keep the price down by cutting back on features such as speakers, webcams, input options, and integrated USB hubs that might never be used. If the designers had stopped there, this review would have turned out much different. Upon opening the box, I knew this was going to be a different sort of experience. I can’t remember the last time I needed screws and a screwdriver to attach a display’s base to its stand, and the stand to the display. Eight screws later, the assembled stand offered height adjustment and can tilt, swivel and even pivot into portrait mode. But it was also wobbly, and I found it difficult to level the screen. The display seemed to tilt a bit to the right. When I adjusted its height, gravity would sometimes win and the display would sink back down. Sometimes cheap just means cheap. 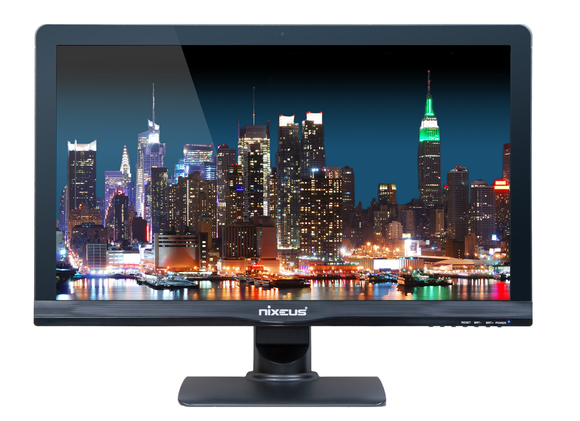 The VUE27D’s native resolution is 2560x1440, but its only video input is a DisplayPort connector; there are no HDMI or DVI inputs, and no USB hub. The display does not offer a webcam or ambient light sensors, although you can see dimples for where’d they go in the bezel. There are seven buttons on the bottom edge of the display, but only four are used, and they aren’t supported by any on-screen menus. Tap the brightness-up button, and there’s no status bar to show you the current brightness setting or when you’ve hit the max or minimum. The screen felt overly bright at its default settings (I measured it at 300 nits), so I just held the brightness-down button until it seemed to stop dimming at 260 nits, which is pretty bright to be the monitor’s lowest setting. I looked at a variety of images on both Mac OS X 10.9 and Windows 8.1. The IPS screen offers wide viewing angles, and text and photos looked good on its glossy screen. I didn’t find any stuck or dead pixels, but there was an imperfection under the glass that was visible in bright images. It looked kind of like a teeny telephone handset. My guess is that someone dropped a tool onto the screen before attaching the glass cover. I also found some screen uniformity issues, where it was brighter in some areas of the screen than others. I could see vertical columns of brighter and darker areas across the screen. The problem was easily seen on white and light images, not so much on darker images. 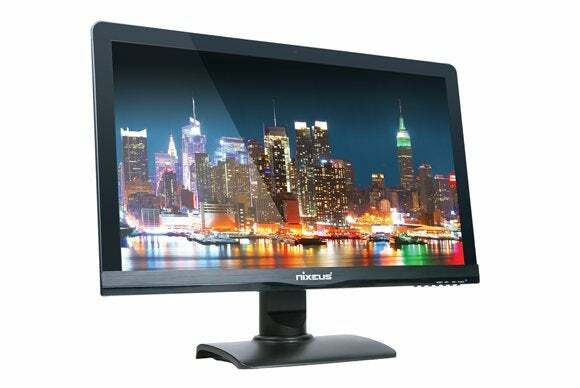 The VUE27D's paucity of features can be excused by its low price tag. I can't say the same of its poor image and build quality. The Nixeus VUE27D's low price tag is tempting, but this is definitely a case of your getting what you pay for.